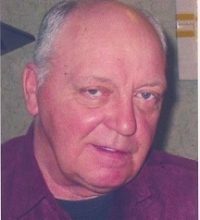 John Allen Bolander Sr., 68, passed away from cancer on Wednesday January 16, 2019 with his family by his side. He was born on April 5, 1950, the youngest of three boys, born to Gordon and Muriel (Moen) Bolander. John grew up in Proctor where he graduated. He then served an apprenticeship at Burlington Northern Railroad as a carman. He retired in 2014. One week after he retired, he volunteered at the food shelf up until his diagnosis. John was a classic car collector and a drag racing champion. He loved spending time at his shop rebuilding muscle cars. Nothing thrilled him more than watching his son and grandson drag race in Brainerd. 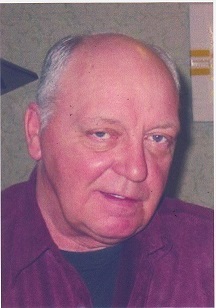 John spent his summers at his cabin in Solon Springs, Wisconsin. He would say there is nothing better than swimming and hanging out on the pontoon. John’s generosity and kindness was the way he lived his life. He helped anyone in need. John is survived by; his wife Loretta (Haupert) of 28 years; son John Jr., his girls Lindsey and Leah; and grandson Kody; brother Gary (Mary) of Texas; nieces Lisa Dykema, Jaime Urie who made him laugh through his pain; life long friend Tom Copisky; and his fur babies, Bella, Shady and Sha’sha. John is preceded in death by his parents, and brother Gordon. At John’s request, there will be no funeral.